Well hello to you my reader chums! Thought I begin the new year with a good old haul for you all! 2013 had its ups and downs, but I've had the support of my friends and family through it all. I hope 2014 brings happiness and joy to all my readers! Determined to make this my year, do what makes me happy and stop worrying about everything. On Saturday I headed up to Bluewater with a couple of my best friends to hit the sales! We were there for ten hours, was a tiring but hilarious day! The first place we headed was House of Fraser as me and Mel were determined to get our hands on the naked palette. Sadly in the urban decay section they were all out of the naked palettes. However the lovely lady there told us that the smoked palette was quite similar to the naked palette with it having some of the colours. Also it came with a travel size version of the primer potion and a black liner in perversion. The palette has several other colours which are beautifully pigmented and lovely colours to use for smokey eyes, hence the name of the palette-smoked. Also it comes with a booklet for tutorials for different looks. It cost me £35, I'm so happy to finally have my first urban decay product! 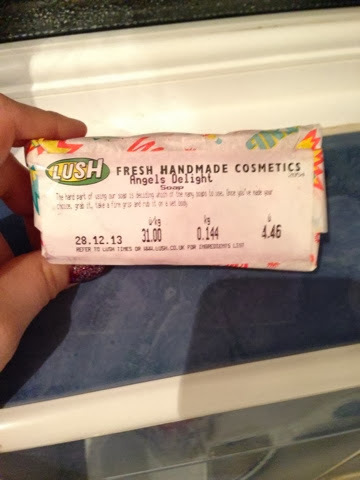 The next place I bought something was lush where they had a 50% sale. I bought two of these soaps one for me and ones for Danielle. It's called angels delight and it smells divine, just like sweeties! I was really hoping to buy some of their face masks but they were out of stock. Another shop I got something in was superdrug. Mel and I literally ran in hoping they stocked sleek as the one near us doesn't. We were so happy to see that they did! 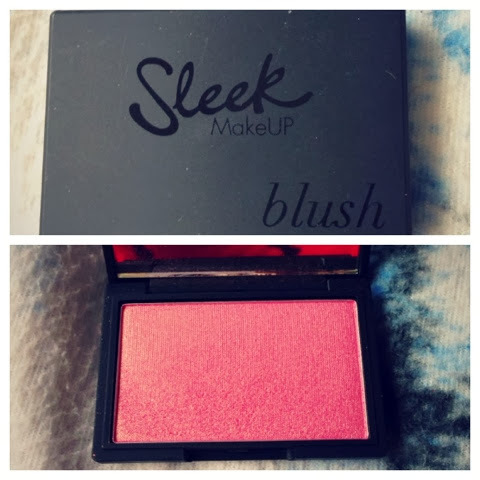 I then went and bought their blush in rose gold. 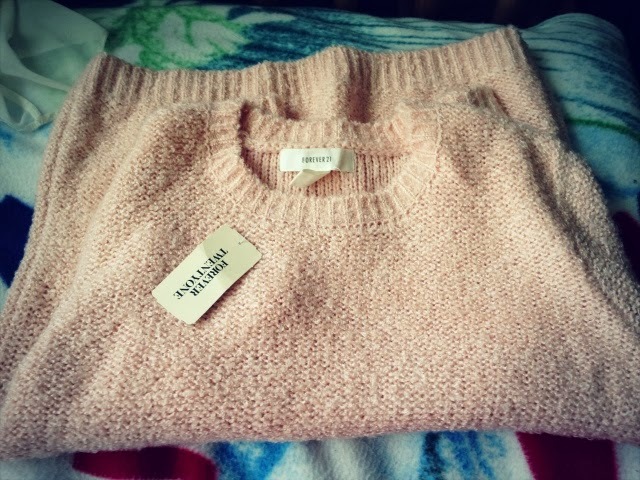 The last thing I purchased in Bluewater was this gorgeous jumper in forever 21. I got it in the bigger size because it looked better slouchier on me. It's honestly so soft and I love this pretty light pink colour. 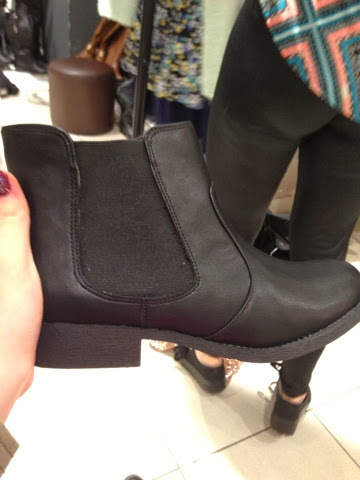 When I was there I saw these cute ankle boots in new look. Unfortunately they didn't have my size, however the next day I went to my local new look who also didn't have my size, meaning I ended up ordering them online. I think they're so classy and would be really cute with a skirt and tights. 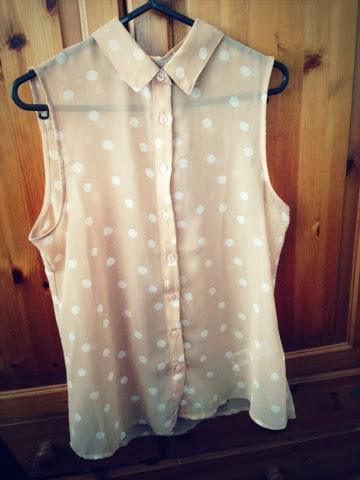 When I was in my local new look I also bought this sweet collared top, another one to add to my collection of collared tops! Not going to lie, I have an obsession with them! I absolutely love this one though and it's was only a tenna. The other dayI headed up to the shops again as I wanted to get something to help my skin as I've noticed my pores have been really noticeable lately and wanted to unclog them. 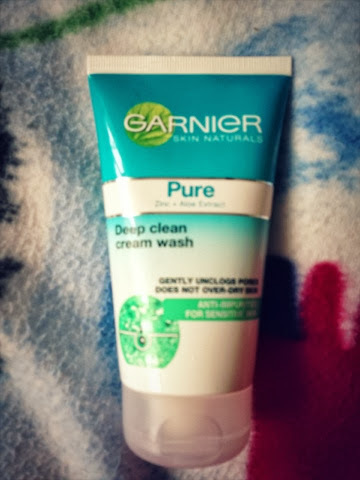 I picked up this face wash by Garnier, I've only used it twice and I'm already noticing the difference! 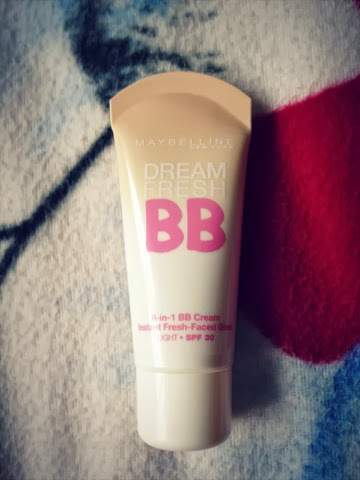 The last thing I bought was this bb cream by maybelline. I've wanted to try this for ages so I'm really glad to of got my hand on it.